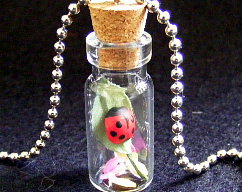 A lovely ,quirky little glass bottle pendant with a silver ball chain necklace. 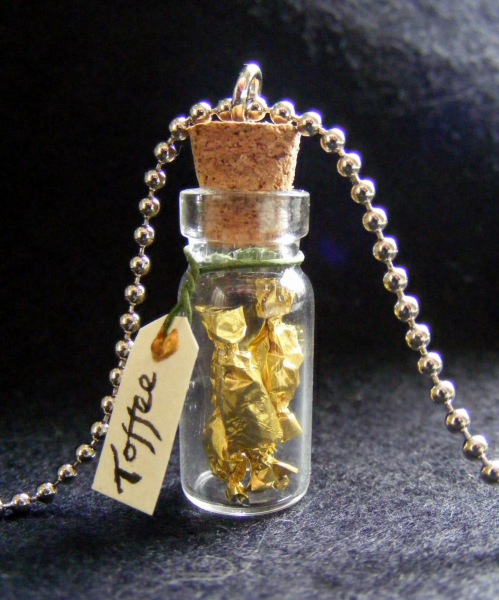 The pendant has some tiny little gold wrapped toffees,a parchment label and a cork stopper. 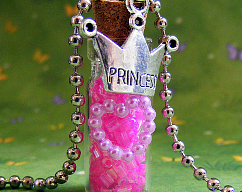 The glass bottle stands 3.3cm tall by 1cm wide. 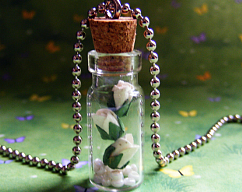 The pendant comes in its own little presentation box. 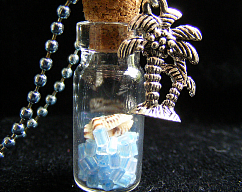 Thanks for looking and I hope you enjoyed our visit.